Far from being solutions to the Canaanization of Israelite thought and ethic, Gideon, Jephthah, and Samson were themselves all parts of the problem. These are not noblemen; they are “antiheroes” (p. 194). the greatest obstacle to the work of God among his people and in the world at large is the faithlessness of his people. Gideon was one of these faithless persons (p. 307). Inwardly he looks spiritual (the Spirit of Yahweh stirs him), but in his actions he brazenly violates his Nazirite status and fraternizes with the enemy. On the one hand, he is born and buried as a hero, but on the other he is a bandit, a trickster, and one who frivolously fritters away his extraordinary calling and gifts (pp. 420-421). the picture the author paints of this man is ugly. Samson is disrespectful of his parents, callous toward his Nazirite calling, without any loyalty to his own people, compromising in his ethic, rude to his wife, flippant with his tongue, and driven by lust, eroticism, and appetite (p. 437). this man who is both extraordinarily powerful and extraordinarily stupid (p. 457). This man, with his unprecedentedly high calling and with his extraordinary divine gifts, has wasted his life. Indeed, he accomplishes more for God dead than alive (p. 469). The man whose birth had promised so much is a disappointment (pp. 471-472). However, Block does not limit himself to the most commonly maligned judges. He even goes after Ehud!—"One may be amused by Ehud’s wit and his deception, but one may hardly condone his treachery" (p. 171). Why do commentators like Block view the judges so negatively? My assessment is that commentators often read the stories of the judges in isolation from other passages and in turn take the worst possible interpretation of ambiguous events. Such commentators make significant assumptions about the judges, even though the author of Judges tends to avoid evaluating their behavior (like much of Old Testament narrative). These modern commentators’ negative inclinations stem from the wicked behavior of Israel during this time, which is explicit in the text. But this is a conflation of the behavior of the Israelites with the behavior of the judges. Of course, this conflation ignores the fact that the judges were sent by Yahweh to deliver wicked Israel. In all of this, these commentators violate one of the primary rules of interpretation—Scripture interprets Scripture (sometimes called the “analogy of faith”). While the narratives in Judges are often ambiguous, it is not as if there is no guide to understanding the judges. Rather, the author of Judges provides an introduction to the stories of the judges, giving us a lens through which to view them. The author of Judges tells readers exactly how to evaluate the judges (Judges 2), and this is quite positive. Further, the New Testament provides a positive commentary on several of the judges (Hebrews 11), and this evaluation is in agreement with the Judges introduction. The introduction of Judges specifies the role of the judges—Yahweh “raised up” the judges to “save/deliver” Israel from their enemies (Judges 2:16, 18; cf. 3:9, 31; 10:1; 13:5). The judges were thus courageous military leaders who delivered Israel through warfare. This same introduction states that Yahweh was “with” the judge (Judges 2:18), demonstrated in the work of the “Spirit of Yahweh” in the judges throughout the book (Judges 3:10; 6:34; 11:29; 13:25; 14:6, 19; 15:14). The introduction also states that Israel “did not listen to their judges, for they whored after other gods” (Judges 2:17). This implies that the judges were calling Israel to turn from idolatry unto obedience to Yahweh. Thus the judges were also spiritual leaders. The introduction to Judges shows that Yahweh sent the judges to deliver Israel from their enemies and to call Israel to back to Yahweh. Therefore, readers should seek to interpret the stories of the judges in the best light possible rather than assume the worst of their behavior. This leads readers to see that the judges point to Yahweh, Israel’s true Judge (Judges 11:27). They are types of Christ, who saves His people from their enemies of sin, death, and the devil. This positive reading of the judges is in agreement with the New Testament, as the Book of Hebrews includes “Gideon, Barak, Samson, Jephthah” in the same list as David, Samuel, and “the prophets” (Hebrews 11:32). who through faith conquered kingdoms, enforced justice, obtained promises, stopped the mouths of lions, quenched the power of fire, escaped the edge of the sword, were made strong out of weakness, became mighty in war, put foreign armies to flight (Hebrews 11:33-34). Much of this list describes the work of the judges. And at least Gideon, Barak, Samson, and Jephthah are described as those “of whom the world was not worthy” and who “though commended through faith, did not receive what was promised” (Hebrews 11:38-39). It is baffling how a Christian can malign men who are listed in the Hall of Faith, with the likes of Abel, Abraham, Jacob, Joseph, Moses, Rahab, David, and Samuel. It is curious that I even have to defend Ehud, but I must. Ehud did not commit “treachery,” as Block claims. The text is quite clear that Yahweh “raised up” Ehud as a “deliverer” of Israel (Judges 3:15). The left-handed Ehud deceived Eglon, the fat king of Moab, by presenting tribute to him (Judges 3:18). Then Ehud thrust his sword into the king and killed him (Judges 3:21). Eglon, which means “calf,” was ready for the slaughter by God’s appointed judge. Why anyone would read this story negatively is odd. Here you have a “deliverer” sent by Yahweh, and he kills the Moabite king who was oppressing Israel. Sounds like the work of God. If Block has a problem with the use of deception, he should take note of the use of deception by the Hebrew midwives in Exodus 2 and Rahab in Joshua 2, along with the Bible’s praise of this behavior. The midwives are said to have “feared God” (Exodus 2:17), and Rahab is praised for her faith (Hebrews 11:31). Now we must move on to the more difficult cases of Gideon, Jephthah, and Samson. Again, we should begin by noting that all three of these men are praised for their faith in Hebrews 11:32. It is also the case that five of the six references to the work of the “Spirit of Yahweh” among the judges are used for these men—once for Gideon, once for Jephthah, and three times for Samson (Judges 3:10; 6:34; 11:29; 13:25; 14:6, 19; 15:14). Many view Gideon’s behavior as acts of doubt, as he twice asks God to give him a sign of a fleece confirming His word that Gideon will save Israel from the Midianites (Judges 6:36-40). This is not a sinful form of testing God. Rather, Gideon made this request after being clothed by the “Spirit of Yahweh” (Judges 6:34). It is also important that God did not rebuke Gideon but confirmed His word and answered Gideon’s requests. The fleece was a response to knowing God’s will, not a means to discovering God’s will. Gideon already knew that God would use him to deliver Israel from Midian (Judges 6:16). Further, this was not a private sign but a public sign, as Gideon’s request of the fleece was before the men of Israel (Judges 6:35-37). Dew signified God’s blessing, and the fleece was a sign that God would reverse His judgment and restore His blessing to Israel. Gideon was a new Moses, as he was given public signs to confirm God’s promise to the other Israelites (Exodus 4). In fact, God later initiated a confirmation of His word, as He told Gideon, “But if you are afraid to go down, go down to the camp with Purah your servant. And you shall hear what they say, and afterward your hands shall be strengthened to go down against the camp” (Judges 7:10-11). What Gideon overheard was a Midianite man telling his friend of his dream of a cake of barley, which the man’s friend interpreted as “the sword of Gideon” because “God has given into his hand Midian and all the camp” (Judges 7:14). Gideon was faithful to Yahweh for most of his life, and he delivered Israel from Midian. He even rejected Israel’s demand for him to be king—“I will not rule over you, and my son will not rule over you; Yahweh will rule over you” (Judges 8:23). Of course, there are hints of things going wrong after this. Gideon made a competing ephod. He had 70 children and practiced polygamy like the kings of other nations. And he named his son Abimelech, meaning “son of the king” (Judges 8:24-31). But it was not until after Gideon died that Israel turned back to idolatry (Judges 8:32-33). Israel forgot Yahweh and “did not show steadfast love to the family of Jerubbaal (that is, Gideon) in return for all the good that he had done to Israel” (Judges 8:34-35). We may want to heavily criticize Gideon for his behavior at the end of his life, but the author of Judges praises Gideon for doing good and places the blame on Israel. As for Jephthah, he is primarily charged with sacrificing his daughter as a burnt offering, which of course would be a great evil. However, Jephthah was filled with the Spirit of Yahweh at the time of his vow (Judges 11:29), so it is unlikely that the Spirit led him to make a vow at odds with God’s law prohibiting human sacrifice (Leviticus 18:21; 20:2; Deuteronomy 12:31; 18:10; Jeremiah 19:5; Ezekiel 20:31; 23:37, 39). Sacrifices can be used metaphorically in Scripture (Exodus 29:24-27; Leviticus 8:27-29; Psalm 51:17; Romans 12:1). Therefore it is most likely that “burnt offering” is a metaphor and that Jephthah’s daughter was offered in full time service to Yahweh through perpetual virginity (Judges 11:31). This sort of devotion to God is not uncommon in Scripture (Exodus 38:8; 1 Samuel 2:22; cf. 1 Samuel 1:11, 22-28; 1 Corinthians 7:7-8). A metaphorical sacrifice would explain why the text focuses on the daughter’s virginity instead of death (Judges 11:37-40), as well as her willingness to be subject to Jephthah’s vow (Judges 11:36). Samson, the most notorious of the judges, is maligned for two primary reasons: (1) he is charged with violating his Nazirite vow; and (2) he is considered a womanizer. As for his Nazirite vow, it is claimed that Samson violated the vow by touching a dead lion, drinking wine, and cutting his hair. It should first be stated that it is not entirely certain that Samson was under the Nazirite vow of Numbers 6. The vow of Numbers 6 was voluntary and temporary, whereas the requirements for Samson were involuntary and lifelong. The Hebrew נְזִ֤יר (nazir) can simply mean he was “dedicated/set apart” (see NET Bible note for Judges 13:5), a translation even the ESV follows in some passages (e.g. Genesis 49:26). It is interesting that the requirements for Samson were only given to his mother for her pregnancy, as she was to abstain from alcohol and unclean food (Judges 13:4). In support of this not being the Numbers 6 Nazirite vow is that the requirement to abstain from unclean food (as Samson's mother was instructed) was not limited to Nazirites but was required of all Israelites. Further, Judges makes no mention of abstaining from “vinegar made from wine” or grapes of any kind, as made explicit in Numbers 6:3. Judges also makes no explicit prohibition of Samson going near a dead body (Numbers 6:6-7). The only post-birth requirement explicitly given was that Samson’s hair was not to be cut (Judges 13:5). Now it may be the case that Samson was to be a lifelong Nazirite and the story in Judges 13 did not record all the details. Or it was just assumed that the Israelites knew the provisions of the Nazirite vow in Numbers 6. However, assuming Samson was under the Nazirite vow of Numbers 6 (albeit a lifelong version), it is not so clear that he violated the requirements of a Nazirite. First, Samson killed a lion and then grabbed honey out of the carcass several days later (Judges 14:8-9). Numbers 6:6 only prohibited contact with dead humans. This is seen in the context of the following verse—“Not even for his father or for his mother, for his brother or sister, if they die, shall he make himself unclean” (Numbers 6:7). The context is about humans and says nothing about animals. Second, though Samson prepared a feast for his wedding, it does not explicitly state that he partook of alcohol (Judges 14:10). He may have simply provided alcohol for those in attendance. Third, Samson did not cut his hair voluntarily but had it cut by a deceitful woman (Judges 16:19). It is hard to fault Samson for this plot against him. It is also charged that Samson broke the law in his relations with women. He is charged with violating God’s prohibition against intermarriage by marrying a Philistine woman, visiting a prostitute, and having an illicit relationship with a woman named Delilah. As for Samson’s marriage to a Philistine woman (Judges 14:1-3), this did not explicitly violate the prohibition against marrying Canaanites, as Philistines were not included in those lists (Exodus 34:16; Deuteronomy 7:3-4). However, marrying a Philistine could still violate the spirit of the law if the woman was an idolater. Of course, it should be noted that the Israelites were extremely wicked during this time and marrying an Israelite woman would probably be no better in this regard than a non-Israelite. This is an indictment on the availability of God-fearing women in Israel. Samson’s tribe of Dan was especially wicked (Judges 18). But Samson thought highly of this Philistine woman, and she was “right” in his eyes (14:3, 7). Most significant here is the author’s commentary on this marriage—“His father and mother did not know that [she] was from Yahweh, for he was seeking an opportunity against the Philistines” (Judges 14:4). The English translations say “it” was from Yahweh, but the Hebrew uses the feminine pronoun. Since the prior sentence spoke of the woman, it is probably referring to her (Judges 14:3). Either Yahweh or Samson (“he”) was “seeking an opportunity” against the Philistines, which can be understood as Samson directly or Yahweh leading Samson to marry a Philistine as a plot against them. As for Samson’s visiting a prostitute in the Philistine city of Gaza (Judges 16:1), this is best understood to mean that Samson only stayed with the prostitute in order to hide from the Philistines. Samson was aware that the Philistines sought to kill him, evidenced by his arising in the middle of the night and tearing down the city gates (Judges 16:2-3). The euphemism in Judges 16:1, “and he went in to her” [וַיָּבֹ֖א אֵלֶֽיהָ], may have sexual connotations, but it often does not. In fact, the exact same phrase is used to describe Barak’s entering of Jael’s tent, where it says, “and he went in to her” [וַיָּבֹ֖א אֵלֶֽיהָ](Judges 4:22). Of course, no one thinks Barak had sexual relations with Jael, so the translators avoid a literal translation. For example, the ESV says, “So he went in to her tent,” though the word “tent” is nowhere in the Hebrew. There is no reason that Samson’s behavior in Judges 16:1 cannot be understood in the same way as Barak’s behavior in Judges 4:22. Further, Samson’s entering of a prostitute’s chambers to hide would be similar to the Israelite spies who stayed with Rahab—“And they went and came into the house of a prostitute whose name was Rahab and lodged there” [וַיִּשְׁכְּבוּ־שָֽׁמָּה] (Joshua 2:1). When Samson left the prostitute, God strengthened him to tear down the gates of Gaza and carry them to Hebron (Judges 16:1-2). It is hard to believe that Samson could sin as charged and God still continue to empower him by His Spirit. As for Delilah, there is much mystery about her. It is not clear whether she was a Philistine, Israelite, or other. Regardless, Samson “loved” her (Judges 16:4). Unfortunately, she betrayed him by tormenting him for his secret and then delivering him to the Philistines (Judges 16:5-21). This is not how you want a love interest to treat you! Instead of painting Samson as a womanizer, it is better to see him as a man betrayed by women. Both his Philistine wife and Delilah handed Samson over to the Philistines for money. Samson should not be faulted for women betraying him any more than Joseph and John the Baptist should be faulted for women betraying them (Genesis 39; Matthew 14:1-12). This puts Samson in a class of godly men in Scripture. In fact, there are many parallels between Samson and John the Baptist—born to barren parents, Nazirites, men who ate honey, and men who were betrayed by women unto death. Moreover, both men prepare the way for a king—Samson for David and John the Baptist for Jesus. One final note. It is sometimes charged that Samson was selfish at the end of his life by crying out to Yahweh for vengeance (Judges 16:28). This is nonsense. Samson’s cry was not selfish. Rather, by opposing Yahweh’s appointed leader in Samson, the Philistines opposed Yahweh Himself. In crying out for vengeance, Samson brought Yahweh’s judgment upon the Philistines and proved himself to be a suffering servant for Israel. Yahweh heard Samson’s prayer, so it must not have been so bad in His eyes! (Judges 16:28-30; cf. 15:18-19). The stories of the judges were not recorded in Scripture for us to criticize them and talk about how bad God's deliverers were. Neither the introduction to Judges nor the author of Hebrews treats the judges this way. Rather, Israel did evil in the eyes of Yahweh, and He handed Israel over to their oppressors (Judges 2:11-15). But Yahweh in His grace “raised up” the judges to “deliver” Israel, and He was “with the judge” (Judges 2:16-18). The judges are not “antiheroes” but genuine heroes of the faith. The judges are also types of Christ—for just as they saved Israel from their enemies, so Christ saves His people from our enemies of sin, death, and the devil. The judges were godly leaders in Israel. They are to be esteemed, not disparaged. 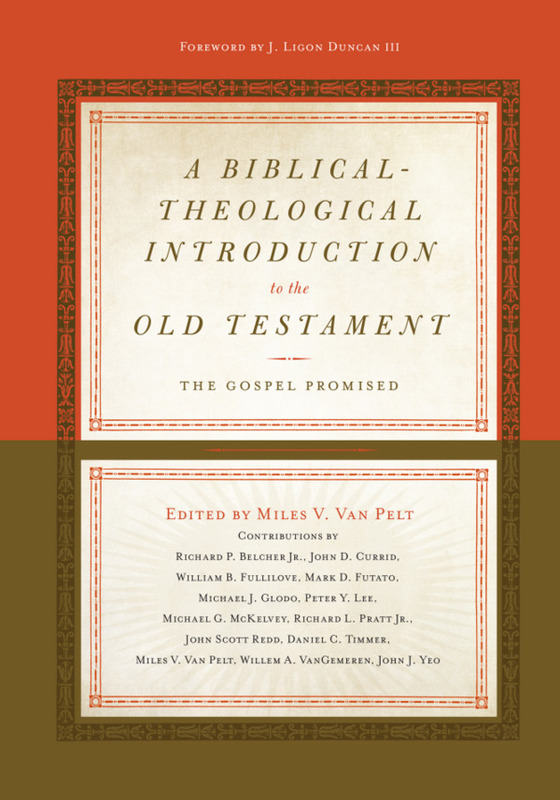 These commentaries influence more popular literature, such as study Bibles. For example, the ESV Study Bible criticizes the judges in its introductory notes to Judges. Speaking of Gideon and Samson, it says, "Two of the most famous judges were anything but paragons of virtue." As of this writing, the author is unaware of any commentaries that take a positive view of the judges. 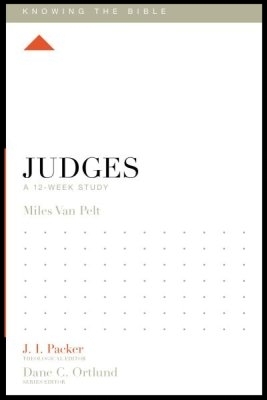 The best available resource taking this view is Judges: A 12-Week Study by Miles V. Van Pelt, from the Knowing the Bible series. This is a Bible study guide and not a commentary, but it is a helpful resource. Gordon Hugenberger’s forthcoming commentary on Judges in the Apollos series will likely agree with the arguments of this article. Both of these men’s sermons on the judges are available online and teach this positive view of the judges (here and here).